A mysterious blast on a vital Uzbekistan rail route on November 17 has been followed by an even more mysterious Uzbek disinterest in repairing the damage or sharing details of the investigation into the incident. The Tashkent government formed a commission to investigate the bombing of the railway bridge when news of the bombing first appeared in the Uzbek press two days after the incident (Gazeta.uz, November 19). The blast, described as a “terrorist act,” occurred at a railway bridge on the line connecting the Termez terminal at the Uzbekistan-Afghanistan border and the city of Qurghonteppa in southwestern Tajikistan (Pravda Vostoka [Tashkent], November 19; RIA Novosti, November 19). More precisely, the attack came in the Surkhandarya region between the Galaba and Amu Zang stations along a stretch of line the runs parallel to the Amu Darya River. Afghanistan lies on the southern side of the river. 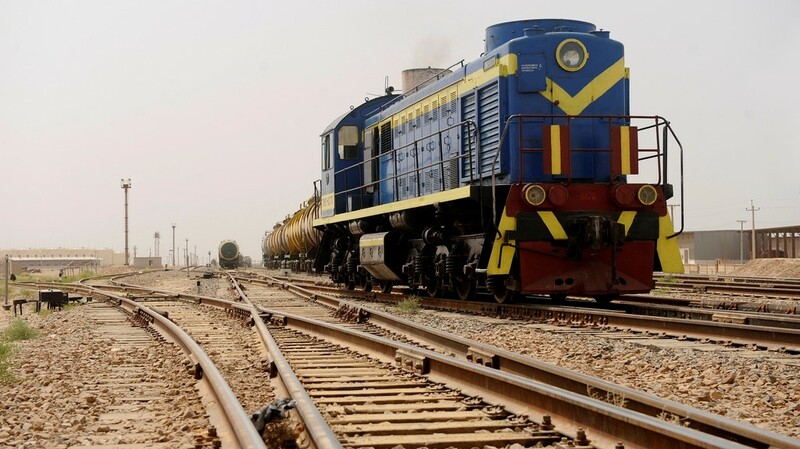 The roughly 250 km rail line is an important commercial outlet for Tajikistan, which has lately had differences with Uzbekistan over the administration of their mutual border. Termez is the southern terminal of the “Northern Distribution Network” (NDN), the supply network providing for U.S. and International Security Assistance Force (ISAF) troops in Afghanistan. Supplies must be offloaded from the rail system at Termez and transferred to trucks for the final lap into Afghanistan. The United States negotiated an agreement to use Termez in 2008, though the German military has quietly leased an air base there since 2002. Attacks by Islamist militants in Uzbekistan have become rare in recent years, partly as the result of a relentless government campaign against any activity that remotely resembles any form of religious extremism. Security services cast a wide net in their search for militants and there are numerous reports from human rights organizations that detention can mean severe treatment and even death. A closed-door trial is currently underway in Tashkent of 16 Muslims charged with participation in “extremist religious, separatist, fundamentalist or other banned organizations” (UzNews.net, November 15). Uzbekistan’s National Security Service (NSS) has even gone so far as to issue a November 12 warning to Uzbekistan’s writers, artists, dramatists and filmmakers to avoid the use of any kind of religious theme in their works (UzNews.net, November 12). If the bombing was the work of Islamist militants wanting to disrupt the Northern Distribution Network (NDN), their choice to attack the line to southwestern Tajikistan rather than the main line running north from Termez seems odd. The absence of a claim of responsibility if the bomb was indeed the work of Islamist militants is also very unusual. Such groups typically make maximum political value of every attack against the state or its institutions. Though the blast occurred in Uzbekistan, the greatest harm has been inflicted on Tajikistan’s rail system, which incurred losses in finding alternative transportation for stranded passengers in Uzbekistan and now has hundreds of freight cars loaded with goods in Uzbekistan unable to cross back into southwestern Tajikistan. According to a Tajik rail official, the Uzbeks would normally have the capability of repairing such damage within a day. Instead, a Tajik offer of assistance went unacknowledged and no timetable has been set for repairs (Asia-Plus [Dushanbe], November 18). Shipping goods through another line to Dushanbe and then shipping them by truck through mountain passes to southern Tajikistan would be prohibitively expensive, so any prolonged interruption to the Termez– Qurghontepparail line would have a severe effect on the Tajik economy. Relations between Uzbekistan and the smaller and more isolated Tajikistan have been strained for at least a decade by a number of issues, most notably Tajikistan’s ongoing construction of the massive Roghun hydroelectric dam project, which Uzbekistan claims would damage that nation’s vital cotton production industry. The latest blow to Uzbek-Tajik relations came on November 13, when an Uzbek border guard was shot and killed by Tajik border guards who were allegedly helping narcotics smugglers bring 3.84 kilograms of heroin into Uzbekistan (Interfax/AVN Online, November 17). Tajik authorities initially denied the involvement of Tajik border guards in the incident, which allegedly involved personnel from the Tajik Main Border Directorate’s Sughd regional department (Regnum, November 17). A spokesman for the Tajik Border Guards later admitted that a Tajik border guard had killed one of his Uzbek counterparts, but only did so after the Uzbeks had crossed into Tajik territory to protect the smugglers. The spokesman insisted that no drugs were found at the scene (RFE/RL, November 15). Uzbekistan’s NSS has demanded an unbiased investigation by Tajik authorities regarding the Border Guards’ involvement in drug trafficking while warning of tough measures to counter future attacks. The drugs were apparently concealed inside electric heaters and the NSS invited their Tajik counterparts to examine the remaining heaters to see if drugs were concealed within them. Uzbek officials have, however, conceded that the Tajik border guards may have been deceived into helping smuggle electric heaters rather than narcotics, a scenario based on the claim that the guards received a far smaller payment than is normally associated with assistance in drug smuggling (Interfax/AVN [Moscow], November 17). On the same day as the railway bridge bombing, Tashkent issued a strong warning to Tajikistan to avoid a repeat of the November 13 border incident: “Should the Tajik side act like this again, the Uzbek side retains the right to take the toughest and most resolute measures in line with the norms and practice of international relations in order to crack down on aggressive provocations on the border, to ensure the security of citizens and Uzbekistan’s territorial integrity in full” (Interfax [Moscow], November 17). In Tajikistan, however, there are now suggestions that the railway blast may have more to do with Uzbekistan’s opposition to the Roghun dam project than with terrorism (ImruzNews [Dushanbe], November 21). Efforts by Tajikistan President Emomali Rahmon to solve his problem with Islamist militants through lengthy sentences for detained opposition members encountered a serious reversal on August 22 when 25 militants made a dramatic escape from a State National Security Committee (SNSC) remand center Tajikistan’s capital city of Dushanbe, killing four guards in the process. Tajikistan has experienced little internal success since obtaining its independence from the collapsing Soviet Union in 1991. A devastating civil war followed from 1992 to 1997, which provoked the loss of most of Tajikistan’s ethnic Russian and European population, which formed much of the country’s professional and administrative classes. A peace and reconciliation agreement in 1997 promised a new era, but in recent years the regime has expelled most of the former armed Islamist opposition from their posts in the reconciliation government, adding to a wave of unrest fueled by corruption, economic failure and the revival of Islam after decades of Soviet repression. The SNSC remand center in Dushanbe has its own security staff and is located inside a larger remand center operated by the Ministry of Justice. Though the escapees appear to have been in control of the SNSC facility for four hours, they nevertheless took Justice Ministry guards by surprise as they burst out of the SNSC building dressed in regulation camouflage uniforms. One car was commandeered by the fugitives, but it is unclear how the rest escaped through the city without hindrance (Avesta [Dushanbe], August 25). According to one report, the escapees were able to arm themselves with 20 pistols, seven AK-47 assault rifles, one machine-gun and four grenades (Nigoh [Dushanbe], September 1). Most of the fugitives had been charged with plotting a coup against the state and had been handed stiff sentences of 15 to 30 years imprisonment by Tajikistan’s Supreme Court on August 20. 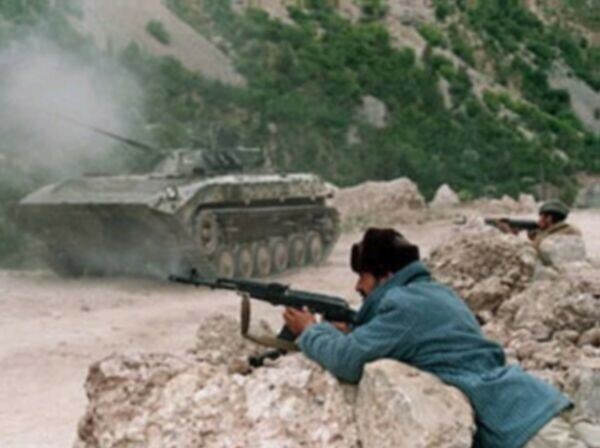 Unidentified gunmen who were believed to be part of the group of escaped prisoners fought a four-hour gun-battle with Defense Ministry outposts in the Romit Canyon (about 45 km from Dushanbe) on September 3 (Asia-Plus Online [Dushanbe], September 3; Itar-Tass, September 3). Authorities believe the escape was organized by Ibrohim Nasriddinov, who was serving 23 years for murder and the planning of a terrorist act. Nasriddinov was caught on September 7 (Interfax, September 7). He is frequently identified as a former inmate of Guantanamo Bay although his name does not appear on the official list of prisoners (RFE/RL, August 7, 2007; Itar-Tass, September 7). There were reports that Nasriddinov was treated as a “privileged” prisoner, being allowed to move around the facility freely at night (Asia-Plus Online, September 2). Close relations between prisoners and guards coupled with understaffing (three guards for 90 prisoners) were cited as reasons for the success of the escape (Imruznews [Dushanbe], September 1). The fugitives included 15 citizens of Tajikistan, five citizens of Russia, four citizens of Afghanistan and two citizens of Uzbekistan (Interfax, September 7; Khovar [Dushanbe], September 24). The two Uzbeks, Furkat Khalmetov and Khamidullo Yuldashov, were convicted of illegal border crossing and participating in an attempt to overthrow the government of Tajikistan, respectively (Itar-Tass, September 24). A Dagestani escapee, Gusein Sulaymanov, was killed after wounding three policemen in a September 8 raid on a house used by militants (Interfax, September 29). Another escapee, Rahmiddin Azizov, a former Rasht Valley security officer, was killed in an operation in the Fayzobod district (Asia Plus Online, September 27; Interfax, September 29). Rahmiddin was serving a life sentence and was charged with belonging to a militant group led by his brother, Negmat (RIA Novosti, September 26). Most of the fugitives were seized in last year’s Operation Kuknor (“Poppy”) and are alleged to have been former loyalists of Lieutenant General Mirzo Ziyoev, the military commander of the Tajik Islamists in the civil war who was given a high military rank and his own paramilitary in the reconciliation that followed the war (Itar-Tass, September 2). He was dismissed in 2006 and accused of having joined the Islamic Movement of Uzbekistan (IMU), an assertion that was quickly denied by late IMU leader Tahir Yuldash (RFE/RL Uzbek Service, July 16, 2009; Ferghana.ru, July 16, 2009). Ziyoev was captured by security forces on July 11, 2009 and died later that day in crossfire between security forces and a group of militants (Millat [Dushanbe], July 23; al-Jazeera, July 16, 2009; IWPR, July 23, 2009). Though some escapees were thought to be headed to the Afghanistan border, most were believed to be on their way to the eastern Tavildara district, where they were apprehended in a military sweep last year. One of four Dagestanis involved in the escape, Magomet Ahkmadov was named as one of the three men who led the breakout by killing four guards and wounding two others (Interfax, August 24). The other leaders included Mirzomen Abiyev, Kazbek Dzhabailov, and Gusein Sulaymonov, who was later killed in a gunfight with police (Interfax, September 29). Another Dagestani, Ahmad Sultanov, was sentenced to nine years in prison only days after the prison break for “circulating extremist ideas” and making calls for jihad. Sultanov is an alleged member of Dagestan’s Shari’a Jamaat, one of the most active armed Islamist groups in the North Caucasus (Itar-Tass, August 27). Using grenades and automatic weapons, an unidentified militant group ambushed a military convoy in the Kamarob gorge of eastern Tajikistan, about 260 km from Dushanbe, on September 19. 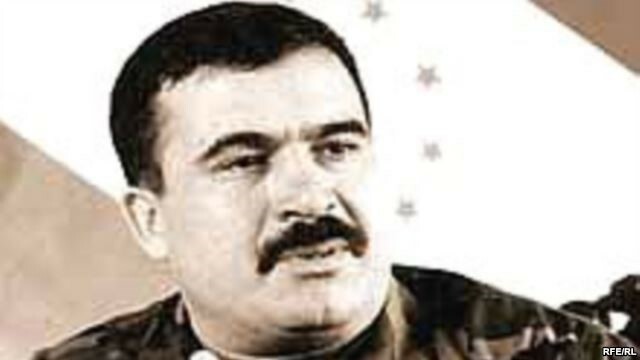 The attack killed at least 28 soldiers and left many more wounded, leaving the government to suspect experienced guerrilla leaders like Mirzokhuja Ahmadov (a.k.a. “Belgi”), Abdullo Rakhimov and Alovudin Davlatov (a.k.a. Ali Bedak) of responsibility for the assault. Later reports put the death toll at 40 of the total 75 man detachment (RIA Novosti, September 20). The Tajik Defense Ministry insisted fighters from Afghanistan, Pakistan and Chechnya were part of the ambush force (Itar-Tass, September 26). Tajik security officials identified Abdullo Rakhimov (better known as “Mullo Abdullo”) as the main suspect, and a later video message from an IMU spokesman claimed responsibility on behalf of the movement, which has had little presence outside the northwest frontier region of Pakistan since 2001. Issued by Abdufattokh Ahmadi, the message said the attack was a response to several issues, including the closure of “thousands” of mosques, unreasonable detention of Muslims, a prohibition on headscarves, and government cooperation with the United States and NATO against Afghanistan’s Muslims (Radio Liberty Tajik Service, September 23; Ferghana.ru, September, 24). Calls for the resignation of the Tajik defense minister followed criticism that the army consisted of poorly-trained and poorly-supplied workers and farmers, many of whom are young and without military experience (Farazh [Dushanbe], September 22; Chark-i Gardun [Dushanbe], September 22). Last June the United States announced it would build a $10 million Counterterrorism Training Center at Qarotogh in Tajikistan’s Shahrinav District, pending an agreement with the Tajikistan government. Both Washington and Dushanbe have made it clear that the center will train only Tajik soldiers and will not house American military personnel. U.S. assistant secretary of state for South and Central Asian Affairs, Robert Blake, told reporters on September 1 that the United States had no intention of establishing a military presence in Tajikistan (Interfax, September 7). Two days after the ambush in the Kamorab Gorge, government troops began searching houses in the Rasht Valley belonging to former members of the United Tajik Opposition (UTO), the leading opposition front in the civil war. Security forces encountered resistance at the home of Mirzokhuja Ahmadov, where five of Ahmadov’s followers were killed in a gunfight. Security forces reported seizing assault rifles, grenade launchers, mines and three completed bombs containing nearly 20 kg of explosives (RIA Novosti, September 23). Ahmadov himself was not found at the scene and his whereabouts remain unknown. The former Islamist warlord was formerly head of the government’s organized crime unit in the Rasht Valley following post-civil war reintegration efforts. An attempt to arrest him in 1998 resulted in the shooting death of Oleg Zakharchenko, chief of Tajikistan’s OMON police unit, by one of Ahmadov’s men. Government officials have accused Ahmadov of sheltering Mullo Abdullo in his home since the latter’s return from Afghanistan (RFE/RL, September 28). The government attack reportedly prompted another former opposition commander, Shoh Iskandarov, to join the militants in the mountains (RFE/RL, September 22). The raid on Ahmadov’s residence came only a week after Defense Minister Sherali Khayrulloev, Interior Minister Abdurahim Qahhorov and SCNS Deputy Leader Mansurjon Umarov met with Ahmadov and Iskandarov to assure them military operations in the Rasht Valley were intended only to apprehend Mullo Abdullo (RFE/RL, September 15). There were also rumors that the ministers had asked for the ex-warlords’ cooperation in hunting down Mullo Abdullo. The ambush in the Kamarob Gorge appears to have led to a turnabout in government policy. According to an Interior Ministry spokesman, two more members of Ahmadov’s group were detained without resistance on September 29, but many other suspected members of Ahmadov’s group might be released due to lack of evidence (RFE/RL, September 29). The pursuit of the spectral Mullo Abdullo, who largely disappeared from view after reports he was captured by government forces in Afghanistan’s Kandahar province in 2002, and who may or may not have returned to the Rasht Valley last year, consumes much of the efforts of Tajikistan’s security forces and provides a convenient bogeyman for government use. Mullo Abdullo has not been seen in Tajikistan since September 2000, when a government offensive destroyed most of his group. Mullo Abdullo’s wife claims she does not know the whereabouts of her husband and does not believe he was responsible for the ambushed convoy (Asia-Plus Online, September 27). Continuing military operations are being led by the chief of the Tajik General Staff, Ramil Nadyrov, and are reported to involve Tajik Special Forces and helicopter gunships (Itar-Tass, September 30; AFP, September 20). Rumors of Russian intervention in the form of troops or helicopters from the Russian 201st Motor Rifle Division base in Tajikistan began circulating after several alleged sightings in early September, but both Tajik and Russian sources denied the involvement of Russian personnel in the counterterrorist operations (Avesta, September 8; Itar-Tass, September 30). The 201st Division is permanently based in Tajikistan where it has been responsible for guarding the border with Afghanistan against militant incursions since 2001. While some Tajiks suspected Russian involvement in the hunt for the fugitives, others accused Russian or other “foreign forces” of engineering the escape (Farazh [Dushanbe], September 1; Millat [Dushanbe], September 1). The mass escape, both alarming and humiliating, resulted in quick changes to the nation’s security leadership. Colonel-General Khairidin Abdurakhimov was relieved of his duties as head of the State National Security Committee (SNSC) “at his own request” and was replaced by Saimumin Yatimov, a former diplomat who became involved in state security matters in 2000 (Asia Plus Online, September 2; Interfax, September 7). All other top officials of the SNSC were dismissed, as well (Itar-Tass, September 2). A rare Tajik suicide car-bombing on September 3 targeted a regional police unit in the northern town of Khudzhand (350 km north of Dushanbe), killing at least two policemen and injuring nearly two dozen others (Interfax, September 3; September 7; Asia-Plus Online, September 3; Avesta, September 3; Daydzhest Press [Dushanbe], September 9). Authorities blamed the IMU, but responsibility for the attack was later claimed by a previously unknown group calling itself Jamaat Ansarullah. The claim suggested the assailants were local in origin; “The operation was carried out in response to the killing and humiliation of our brothers and ordinary Muslims behind the walls of that God-damned place” (Kavkaz-Tsentr, September 8). A representative of Tajikistan’s Islamic Renaissance Party (IRP) was hesitant in accepting the claim, saying “enemies of Islam” invent organizations with Arab names to tie Muslims to acts of violence. “As far as we know, there is no such organization even among banned religious organizations in our country. I even doubt that it exists in the world,” stated the IRP representative (Asia-Plus Online, September 11). A September 5 explosion at a Dushanbe disco that wounded seven people was at first believed to be an attack by radical Islamists, but investigations revealed the blast was the result of “gross misconduct by visitors using pyrotechnics” (Interfax, September 7). On September 10, a Tajik border patrol encountered what they described as a large group of Islamist fighters, including Afghan Taliban, trying to cross the border from Afghanistan. A firefight lasting nearly 24 hours ensued, with the border police eventually driving off the Taliban incursion. Authorities claimed one officer and 20 Taliban were killed. Though only seven Taliban bodies were recovered, officials said the rest were observed being put into the river by their former comrades to be carried away. The battle took place roughly 210 km south of Dushanbe on the banks of the River Pyandzh and on a number of islands in the river occupied by Taliban fighters (Reuters, September 11; AFP, September 13). In an effort to curb extremism, President Emomali Rahmon has asked parents to arrange for the return of their children studying at Islamic institutions abroad, claiming they were being trained as “extremists and terrorists” (Asia-Plus Online, August 30). The request proved highly controversial and brought pointed criticism from the opposition Islamic Renaissance Party (the only legal Islamic party in Tajikistan) (Asia-Plus Online, August 26). The IRP responded to the new violence by issuing a call for national unity and a halt in the process of destabilization (Ozodagon [Dushanbe], September 22). Party leader Muhiddin Kabiri said his appeals to the government to open discussions with the militant opposition had fallen on deaf ears and led to the current violence (Najot [Dushanbe], September 23). Kabiri maintains that moderates form the majority in Tajikistan, but both the secular government and the armed Islamist opposition are now dominated by extremists. The government has jailed more than 100 members of banned Islamic groups in the last year alone. Kabiri’s views on the violence were sought by assistant to the U.S. secretary of state on South and Central Asia Robert Blake during a recent two-day visit to Dushanbe (Vecherniy Dushanbe, September 7). It is difficult to get a clear picture of the security picture in Tajikistan. Foreign press reports are quick to work al-Qaeda into their headlines, with reports suggesting all of Tajikistan’s militants are somehow operatives of that organization. Tajik authorities prefer to blame their troubles on a revival of the IMU in Tajikistan or alternatively to blame Islamist opponents of the government who have already been subject to a campaign of marginalization for some years. The possible emergence of new groups such as the Jamaat Ansarullah and the pursuit of shadowy figures such as Mullo Abdullo tend to confuse the picture even more. Along the frontier with Afghanistan there is the risk of fugitive militants escaping across the border to join the Taliban while other groups of Taliban are apparently trying to make their way into Tajikistan. Presenting its troubles in the framework of the “war on terrorism” allows the Dushanbe government to avoid discussions of official nepotism, corruption and inefficiency as factors causing unrest in the country. The small number of militants active in Tajikistan does not pose an existential threat to the nation, as some have suggested. They have little influence outside the Rasht Valley and do not enjoy the levels of popular support the armed opposition had in the 1990s. However, economic stagnation and the continuing marginalization of all types of political opposition threaten to create the conditions in which militant groups could flourish, especially those offering an Islamic solution to Tajikistan’s problems in harmony with the nation’s ongoing grass-roots Islamic revival. Having recently abandoned the pretense that they were running anti-narcotics sweeps rather than counterterrorist operations in eastern Tajikistan, the Interior Ministry and the State Committee for National Security (GKNB) announced on July 8 that counterterrorist operations in Tavil-Dara district were completed (Interfax, August 5; see Terrorism Monitor, June 12 for the origin of the operations). 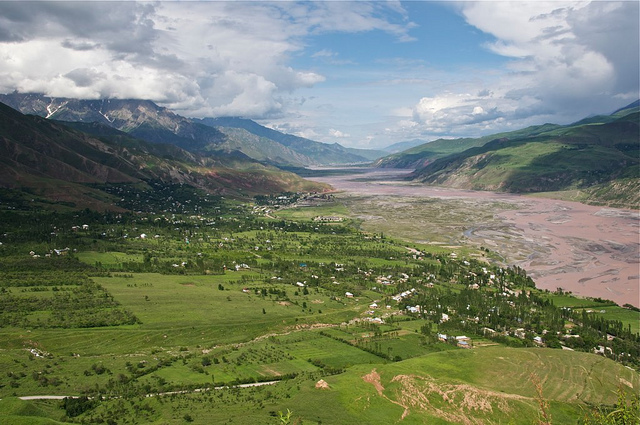 Most operations have focused on the Rasht Valley Region, particularly the Tavil-Dara District. Tavil-Dara is part of the Region of Republican Subordination (RRS- formerly Karategin Province), one of the four administrative divisions of Tajikistan. Interior Ministry and GKNB troops returned to their bases in Dushanbe after “totally destroying” Shaykh Nemat’s group of Islamist militants. Thirty members were arrested and 11 killed, including Shaykh Nemat and Lieutenant General Mirzo Ziyoev. The detainees included six Russian citizens. According to Tajik Interior Minister Abdurahim Qahhorov, military operations in Tavil-Dara have restored stability to the district (RFE/RL, July 23). 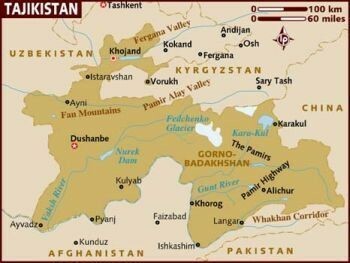 Tavil-Dara was an Islamist stronghold during the 1992-1997 civil war in Tajikistan. On July 8, a group of vehicles tried to force their way through a Tavil-Dara checkpoint but were repulsed by security forces in a prolonged exchange of gunfire (Asia-Plus, July 9). A group of “foreign militants” attacked a National Guard post at Havz-i Kabud in Tavil-Dara on July 16, but were driven back with losses. The Tajik Interior Ministry and the GKNB issued a joint statement on July 18 identifying the five Russian militants killed at Havz-i Kabud. They included two Daghestanis, an ethnic Tatar, an ethnic Kazakh from St. Petersburg and a native of the Siberian region of Tyumen. The militants were reported to have been armed with Kalashnikov assault rifles and grenades (Asia-Plus [Dushanbe], July 17; July 20). 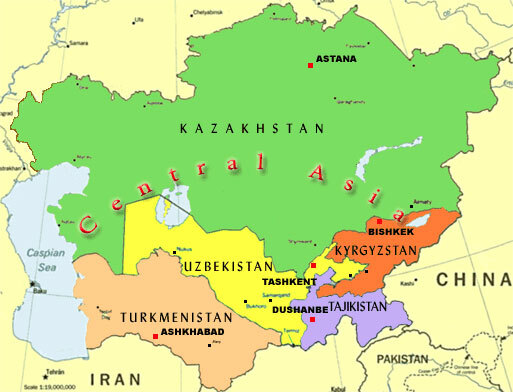 Dushanbe blames much of the increased violence on a resurgence of activity by the Islamic Movement of Uzbekistan (IMU). Three men arrested at a checkpoint in eastern Tajikistan on July 22 were reported by police to have been members of the IMU who fought alongside the Taliban in Afghanistan and Pakistan. Firearms, grenades, communications equipment and homemade bombs were seized in the investigation (AFP, July23). Six Tajiks were sentenced on July 31 to eight years in prison for their membership in the IMU. The suspects were reported to have received training at a school in Afghanistan belonging to the IMU (Khovar [Dushanbe], August 3; Interfax, July 31; August 3). Another alleged IMU operative was arrested in Khujand on August 4 in connection with the murder of two police officers in 2005 (Asia-Plus, August 4). Two IMU militants were reportedly shot by security forces in separate incidents on August 9 (RFE/RL, August 10; Reuters, August 10). A police car was destroyed by a bomb in Dushanbe on July 30 during a summit meeting of the leaders of Tajikistan, Afghanistan, Pakistan and Russia (Reuters, July 31). Two other bombs exploded several days earlier when the summit began. The bombings followed the arrest of three local men in early July on charges that they planned to commit terrorist acts in Dushanbe. All three suspects were reported to be members of the IMU and veterans of the fighting in Afghanistan (Sobytiya [Dushanbe], July 30; Dawn [Karachi], July 27). The Tajik press suggested that the bombings were connected to threats made by the Taliban regarding Tajikistan’s cooperation in establishing new supply routes to NATO forces in Afghanistan (Varorud [Khujand], July 29). Mirzo Ziyoev was the military commander of the Tajik Islamists during the civil war. Until recently he and his men were based in the Rasht Valley. In the reconciliation that followed the civil war, Ziyoev was made a Lieutenant General and Minister of Emergencies, a post that came with its own paramilitary. He was dismissed from the cabinet in 2006. According to the Interior Ministry, Lieutenant General Ziyoev joined an IMU unit led by Shaykh Nemat Azizov in June and was planning a series of attacks against state targets. An audiotape released by IMU leader Tahir Yuldash denied that Mirzo Ziyoev had ever been a member of the movement, suggesting instead that he had “fallen victim to intrigues of the government” (RFE/RL Uzbek Service, July 16; Ferghana.ru, July 16). 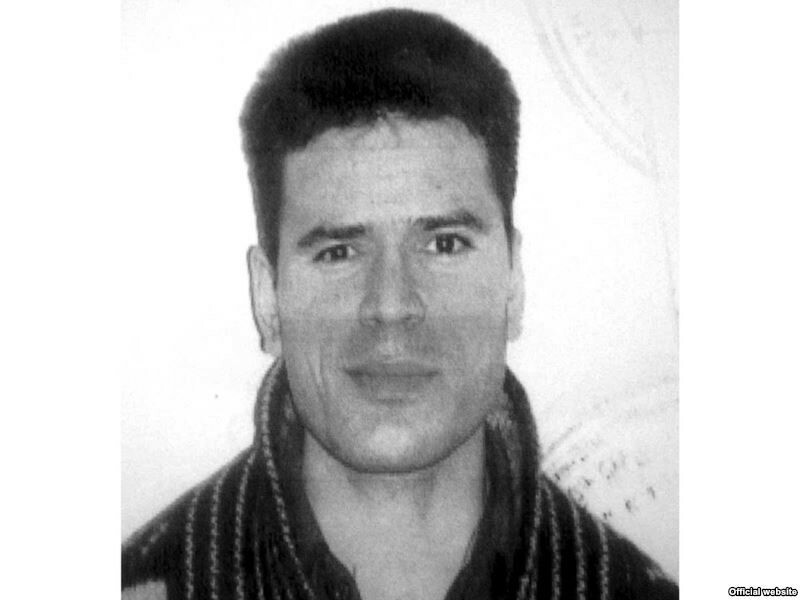 He was captured by state security forces on July 11 in connection with the attack on a National Guard post. According to the Interior Ministry, Ziyoev was killed later that day when he led a security unit to convince an armed militant group to surrender. He was reported to have been killed in the resulting crossfire (Millat [Dushanbe], July 23; al-Jazeera, July 16; IWPR, July 23). Security officials reported that five Chechens were among the captured members of the militant gang (Reuters, July 17). The five are alleged to have arrived in Tajikistan to transfer “a huge amount of money accumulated from the drug trade in order to fund terrorist organizations in Afghanistan and Pakistan” (Asia-Plus, July 28). Colonel Mahmud Khudoyberdiyev came to prominence in 1997, when he led an unsuccessful mutiny as commander of a Defense Ministry brigade. He escaped the rebellion’s suppression only to return in 1998, briefly capturing the northern city of Khujand before fleeing for Uzbekistan. Tashkent has denied numerous requests for his extradition. Since the beginning of the year, Tajik security services have arrested seven former members of Khudoyberdiyev’s group on charges of murder, kidnapping and terrorism, most dating back to the 1990s (Asia-Plus, August 5). Militant leader Shaykh Nemat Azizov was killed by members of the Tajik Interior Ministry’s Special Forces in late July when he and a group of fighters were tracked down in a remote mountainous area in Tavil-Dara (RFE/RL Tajik Service, July 29). Formerly a well-known guerrilla leader in the Tajik civil war, Azizov was made leader of the Tavil-Dara division of the Emergency Situations Ministry as part of the post-war reconciliation before he allegedly returned to armed opposition to the Tajik state. A Daghestani man alleged to be part of Shaykh Nemat’s group was displayed on Tajik television in late July. Magomed Rukhullaevich Sabiullaev (also given as Satsiyullayev) claimed he flew from St. Petersburg to Dushanbe before participating in attacks on security forces in Nurabad and Tavil-Dara under Shaykh Nemat’s command (RFE/RL, July 28). The Daghestani’s confession stated that he and two other Daghestanis met veteran Islamist commander Mullo Abdullo in Tavil-Dara. Mullo Abdullo blessed their jihad before Shaykh Nemat armed them (Asia-Plus, July 28). Shaykh Nemat was killed on July 29 when security forces tracked his group to a remote mountain village. Azizov refused to surrender and was killed in a firefight. The Interior Ministry claimed Shaykh Nemat had entered Tajikistan to sell narcotics from Afghanistan in order to fund militant operations in Pakistan and Afghanistan (AFP, July 29). Security services also claimed Shaykh Nemat was a commander in the IMU (Interfax, August 5; Asia Plus, July 29). Forty-six members of the Tablighi Jamaat, an international Islamic revival group, were arrested in the Khatlon region in mid-July (Tojikston [Dushanbe], July 16). The Tablighis insist they are strictly apolitical, though there are suspicions that Islamist militants elsewhere may have used the cover of the Tablighi movement to facilitate an international movement (see Terrorism Focus, February 13, 2008). The Tablighi Jamaat was banned in March 2006 in the belief that the movement aims to subvert constitutional order in Tajikistan and establish an Islamic Caliphate (Central Asia Online, July 21). The 46 Jamaat members will be tried for incitement to extremism and the creation of an extremist community. In a separate case, five Jamaat members of Tajik and Russian origin were sentenced to terms of three to six years each for calling for “forcible change” to the country’s constitution (Interfax, August 11). It is still difficult to say with any accuracy exactly what groups Tajikistan’s security forces have been battling in the mountains since May. While a mixture of native Tajiks and foreign militants appear ready to take up arms against the state, it remains to be seen if there is a taste in the Tajikistan public for a resumption of the disastrous and brutal civil war of the 1990s. Some of the violence appears to be generated by militants escaping the Pakistani military offensive on Pakistan’s northwest frontier. But other incidents appear to be based in the personal grievances of Islamists who accepted lofty government posts as part of the national reconciliation after the civil war, and who are now being dropped from government. Many of the arrests for crimes committed in the 1990s indicate that the Islamists have lost the “immunity” they once enjoyed as part of the government’s desire to restore stability to Tajikistan. As an Interior Ministry spokesman told a correspondent, “The overwhelming majority of people who remember the bitter lessons of the recent civil war well did not respond to [the militants’] provocative calls” (Itar-Tass, August 9). Are the Afghan Taliban Using Tajikistan’s Islamist Militants to Pressure Dushanbe on NATO Supply Routes? As Pakistan’s military continues to consolidate its control over the Malakand region of the North-West Frontier Province and talks of continuing on into South Waziristan, there is some apprehension in neighboring states that foreign fighters based in northwest Pakistan may begin leaving their now-endangered bases for home. Various reports claim foreign militants are on the move towards the Central Asian states in the aftermath of the Pakistan Army’s offensive against Islamist extremists in the Swat Valley (Jang [Rawalpindi], June 3; Millat [Dushanbe], May 21; Ozodagon [Dushanbe], May 21). A new military operation in eastern Tajikistan suggests the Central Asian nation is responding to the return of such extremists under the command of veteran Tajik jihadi leader Mullo Abdullo Rakhimov, though the Dushanbe-based government says it is only conducting routine anti-narcotics operations. During Tajikistan’s 1992-1997 civil war, Mullo Abdullo was an important Islamist commander, operating as part of the United Tajik Opposition (UTO), an awkward coalition of liberal democrats and Islamists. If Abdullo has returned, it would mark his first known presence in Tajikistan since September 2000, when a government offensive in the Darband region destroyed most of his group, with over 40 fighters captured. Mullo Abdullo himself was reported captured in this encounter. He is supposed to have been sent on to Dushanbe, but was apparently amnestied and released, taking advantage of his unexpected freedom to leave for Afghanistan whereby according to some accounts, Ahmad Shah Masoud made him a commander in the Northern Alliance. Other reports say he joined the Taliban and was captured by government forces in Kandahar province in 2002, after which little was heard of him (Asia Plus, May 23; RFE/RL, May 21). 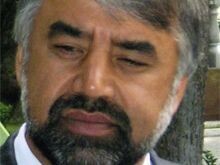 Tajikistan authorities were unable to confirm reports of Abdullo’s detention in Afghanistan (Interfax, May 22). Government troops are currently at work in the Rasht Valley, in the western part of the Gorno-Badakhshan Autonomous Oblast (GBAO). The Garm district of the Rasht Valley has a long history as a center for Islamist militancy, dating back to its days as an important center for the anti-Soviet Bashmachi rebellion of the 1920’s. During the civil war the Garmis sided with the Islamists and suffered severe retribution for their efforts. The Rasht Valley was also the main operational base for Mullah Abdullo’s forces during the war. The GBAO, located in the Pamir Mountains, occupies 45% of the territory of Tajikistan but has only 3% of the total population. GBAO was created by the Soviets in 1925 and joined the Tajik Soviet Socialist Republic in 1929. During the civil war, the GBAO was a stronghold of Islamists affiliated with the UTO. Eastern Tajikistan is also the home of the Pamiri, an Isma’ili Shi’a people who were targeted for massacres after trying to separate from Tajikistan in 1991. The Pamiris were mostly supporters of the UTO. The operation includes units of the Interior Ministry, the Drug Control Agency, the State Committee on National Security and Customs units. The inclusion of members of the Interior Ministry’s Special Forces is considered unusual for an anti-narcotics operation (RFE/RL, May 21). Tajik Border Guards and Drug Control Agency officers were reported to have seized more than 80 kg of drugs in eastern Darvoz District (along the north-west border of the GBAO) in the opening days of the operation, but a Dushanbe daily reported rumors of fighting between government forces and militants in the same district, noting the government could not give “a clear explanation of the situation” in eastern Darvoz (Nigoh [Dushanbe], May 28; Tojikiston [Dushanbe], May 28). Reports from Russia claimed that Abdullo crossed into eastern Tajikistan several weeks ago and has been canvassing elders in the Rasht Valley for support. The original group of 100 fighters has allegedly grown to 300 (Kommersant, May 25). A source in the Interior Ministry stated, “It is not known who is spreading such rumors, but we will get to the bottom of this. It is quiet and calm [in the Rasht Valley], no operations are being conducted there except for Kuknor-2009” (Interfax, May 22). At the same time it was denying cross-border incursions by militants, the Interior Ministry reported the discovery of a cache of weapons in a Dushanbe home, including a grenade launcher with 27 rounds, five assault rifles, two grenades and a large quantity of ammunition (Interfax, May 23, 2009). Whether by design or coincidence, there have recently been a number of arrests of high-profile former associates of Mullo Abdullo on charges that appear to have been ignored for years. On May 17 the Tajik Interior Ministry announced the arrest of Muzzafar Nuriddinov and several other former Islamist UTO leaders. Nuriddinov was a well-known associate of Mullo Abdullo in the period 1994-1999 and the timing of his arrest led to increased speculation in Dushanbe over the real intent of the government’s operations in the GBAO (Asia Plus [Dushanbe], May 21). Among other “past crimes” dating back to the 1990s, Nuriddinov is wanted for murdering two policemen with a Kalashnikov rifle. Prior to his involvement with Mullo Abdullo, Nuriddinov was a member of a militant group under field commander Fathullo Tojiddinov, who later became a leader of the Interior Ministry’s rapid deployment unit before being charged with possession of six kilograms of raw opium in June 2007 (Asia Plus, March 18, 2008). Another former member of Abdullo’s command, Djumaboi Sanginov, was arrested on May 31 in Dushanbe for crimes allegedly committed as a member of the UTO in 1996 (Ferghan.ru, June 1). Another Target for Operation Kuknor? Other reports claim the operation in the Rasht Valley is directed at arresting former opposition warlord Mirzokhuja Ahmadov for his involvement in unspecified “past crimes.” An attempt last year to arrest Ahmadov resulted in the shooting death of Colonel Oleg Zakharchenko, chief of Tajikistan’s OMON police unit, by one of Ahmadov’s followers. Ahmadov was serving as head of the anti-organized crime unit in the Rasht Valley at the time, a post he received as part of integration efforts following the civil war. During the war, Ahmadov was a well-known UTO field commander. Ahmadov claims Zakharchenko’s death was the result of his men thinking their headquarters was under attack by gunmen. He further claims to have received a verbal pardon from Tajikistan president Emomali Rahmon (Eurasianet.org, February 5, 2008; RFE/RL April 14, May 20). The Taliban recently warned Tajikistan against providing a new supply route for U.S. and NATO military supplies on their way to Afghanistan (Daydzhest Press, May 28). Nevertheless, Tajikistan agreed to a deal to allow non-military supplies to pass through Tajikistan as part of a vast new northern supply route meant to provide an alternative to the turbulent Khyber Pass of northwest Pakistan (BBC, April 21). If Mullo Abdullo has passed from Pakistan through Afghanistan into eastern Tajikistan, it may be part of an effort by the Taliban to convince Dushanbe to rethink its cooperation with the Coalition. Speaking at a meeting with EU ministers working on greater cooperation with Central Asian states, Tajikistan’s Foreign Minister, Hamrokhon Zarifi, confirmed the nation’s readiness to support international anti-terrorism operations against the Taliban and al-Qaeda. “Threats by Taliban insurgents do not frighten us and Tajikistan signed an agreement on giving a corridor for the land transit of U.S. non-military goods to Afghanistan” (ITAR-TASS, May 29). Nevertheless, with a recent and sudden outbreak of suicide bombings and other violence in neighboring Uzbekistan raising fears of a return of Islamist fighters to that region, Dushanbe may be making efforts to preempt the penetration of Islamist fighters from Pakistan in force. 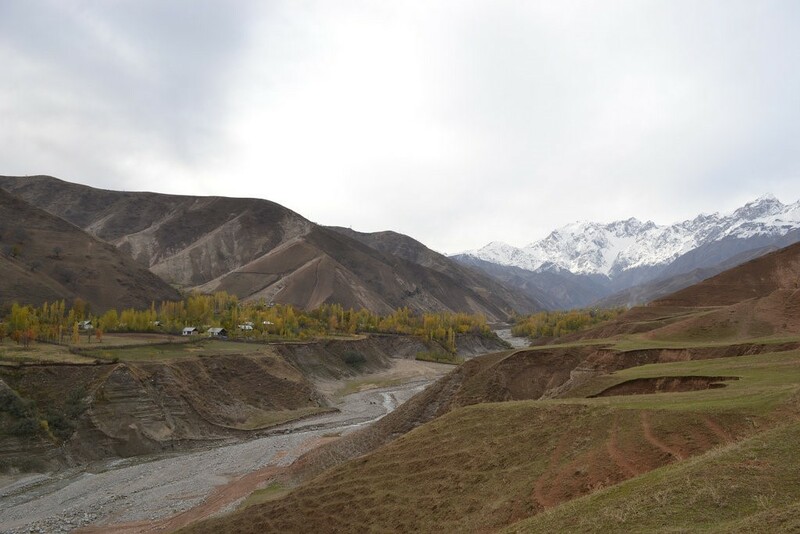 An anti-narcotics operation would provide useful cover for extensive ground sweeps and the systematic collection of intelligence necessary to prevent Islamist militants from establishing new bases inside Tajikistan’s Rasht Valley. 1. Muzaffar Olimov and Saodat Olimova, “Region early warning report: Political Islam in Tajikistan,” Forum on Early Warning and Early Response (FEWER), July 31, 2001.